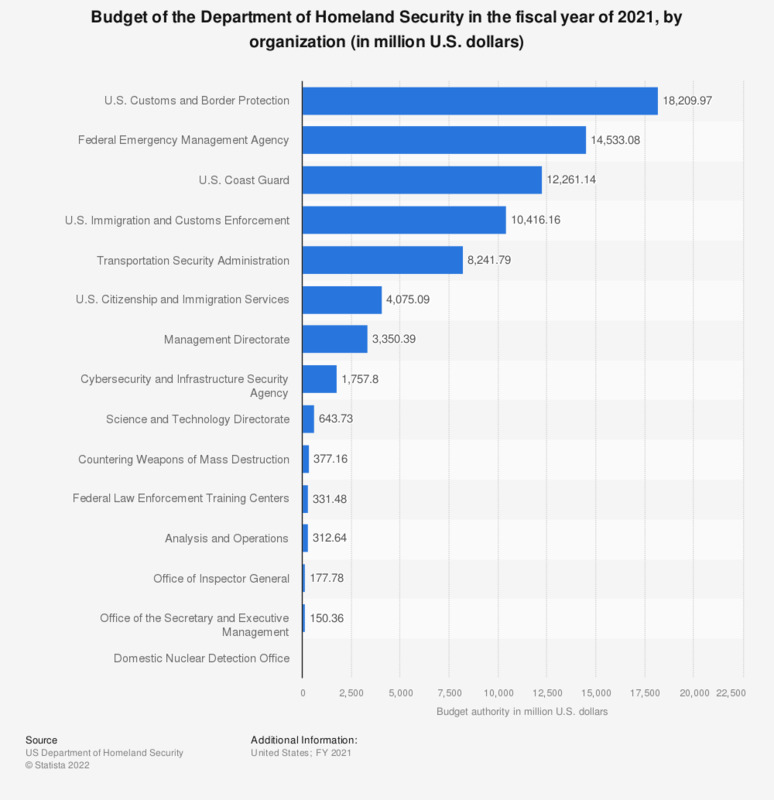 This statistic gives a breakdown of how the budget of the Department of Homeland is allocated amongst the various organizations administered by the agency in FY 2020. The second budget of President Trump in FY 2020 saw funding for U.S. Customs and Border Protection increase by around 4.16 billion dollars from the 2018 figure to 20.85 billion U.S. dollars. Budget according to the president's budget proposition.